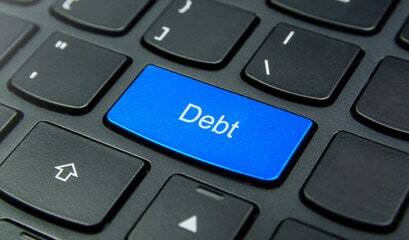 How Does Online Debt Consolidation Work? Debt consolidation online is the process of obtaining a loan from an online platform without having to meet the loan officer face to face. The additional attraction is that the debtor gets online debt consolidation without even having to take out the loan. Online debt consolidation companies have customized software to check out a prospective client’s credit report, list his debts and subsequently recommend a suitable program to reduce his monthly payments, work out a solitary consolidated payment and to make him debt-free within three to five years. Moreover, since the process is fully online, you are spared the trouble of commuting long distances and save valuable time. Any online non-profit credit counseling company dedicates itself to helping people out who are in a financial quandary. 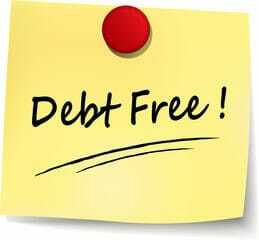 This in turn helps to improve the quality of their lives and frees them of the stress associated with unpaid debts. As one works with a non-profit debt consolidation agency, he is offered high quality credit counseling as also appropriate solutions for debt relief that are worked out keeping is specific situation in mind. What’s more, the agency does not work to solely for its profits or sales commissions. Rather, it is more of a charitable gesture to help people lead debt-free lives. In other words, as compared to profit-making financial institutions that offer advice, products, and services with the sole intention of filling their own coffers, non-profit online debt consolidation companies work for the best interests of their clients first. If you are tired of keeping up with the deadlines and your phone beeping wildly because of a repeated reminder, you should have your debts consolidated. Instead of paying multiple creditors, you would now only have to pay one. Credit card companies usually charge double-digit interest rates and justify such as merely a risk assessment. 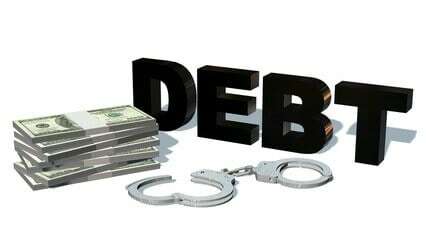 However, by consolidating these unsecured debts, you can get a better deal. For example, instead of paying 25% APR on your first account, 15% APR on the second, and 18% APR on the third, you can have them all at a lower percentage than the average of the three. Because the interest rate is lower, it follows that your monthly payments would see a decrease as well. If you have paid them on your own, you could be in a much worse situation than you can handle. For secured loans, there is a collateral put against what you owe. This means that if you fail to settle the payment, you can end up losing your car or your house. Some agencies rely on your negligence to deepen their pockets. At first glance, you may happy to only be paying $700 a month instead of $1,000 for the next few years. However, upon computation, you find out that debt consolidation is actually costing you more than if you have paid the different accounts on your own. If you think this is the ticket to a good life, you are wrong. You have to put in the hard work and make sacrifices in order to make this work. It is only a cure, but only you hold the prevention. Because debt consolidation does not require you to close up your lines of credit, you can end up in much more debt than you originally had. Having your credit lines suddenly cleared up gives the illusion of safety and stability, but remember, you still owe that money. Qualified and experienced credit counselors may be contacted online, and they will ask you to explain in full details the problems associated with your current financial situation. After carefully assessing the nature of your problem, they will work out multiple options for you and give you feedback on the benefits and demerits of each option. Based on these, you will be advised to select the best option to help you achieve your personal financial objectives and goals. It is always advisable to connect with an online counselor who has been rated A+ by the Better Business Bureau because you stand to get the most objective and reasonable advice. Remember, the company is not in business to sell you anything. It exists to help you out simply. Your creditors would agree to amalgamate all your outstanding credit card dues into a single monthly payment that easily and suitably fits your personal budget. The online debt consolidating agency would negotiate this with all your creditors on your behalf. The agency would also try and ensure that most of your credit card issuers will cut your interest rates to zero percent or reduce interest rates dramatically for you. The principal objective is clear out the outstanding card debt within two to five years. Online debt consolidation companies also work out realistic spend plans or budgets after considering all your familial needs to help you keep your finances on track and to get you out of your debt burden faster. These are also authorized to erase all your debts records that are on their system two years after you complete their debt management program. This not only helps improve your credit score substantially but allows you to get a fresh financial start. Some non-profit online debt consolidation agencies also come up with programs that help their clients re-establish their credit during this two-year period in order to restore financial stability at the earliest. The agency will also negotiate with your creditors to either substantially reduce your interest rates, over-limit charges and late fees, regardless of your credit score or waive them off completely. You may also receive online advice on bankruptcy filing procedures if that’s your only alternative left and even recommendations for the best bankruptcy attorneys. All outstanding bills for multiple credit cards may be consolidated into one single monthly payment through an online dent management program. This helps the debtor pay off his bills on time to avoid missed payments and the late fees that come with them. Online debt consolidation tools enable a prospective client to undergo online credit counseling to ascertain if he qualifies for the online program for debt management. These are absolutely user-friendly step-by-step software tools that extracts your personal credit report that shows how much you actually owe, works out an easily manageable budget, subsequently formulating a plan that helps you reduce your monthly payments while also consolidating them into a single one. The online program is so designed that it allows you enough time to objectively review your financial position and then customize a relief plan. Alternately, your questions also get answered online or over the telephone if you prefer working with a credit counselor. These program for debt management are also accessible through smartphone apps. Just fill in the details of your crisis, and the solution for debt relief solution gets worked out on the details you have enclosed. These include: consolidation of all your payments into a solitary payment; reduced or waived interest rates from creditors through negotiations done by the agency on your behalf; advice on approaching government housing programs that lower your mortgage payments payable monthly; and a referral to any non-profit or government organization that helps you improve your financial situation in the near future. All this, needless to say, is available to you for free if the agency is a non-profit organization. With the unstoppable march of the internet, online debt consolidation gives you that extra benefit of not having to convince a banker or beg him for a loan to help you tide over your situation. Your loans for debt consolidation are readily available online, and you don’t even need to speak to anyone. This debt management plan doesn’t involve loaning, but helps you pay off your debts within three to five years devoid of any interest. The program, in fact, lowers interest rates and your personal credit score doesn’t matter. Just enroll online and get on with the loan. Yet another loan option for debt consolidation online. The maximum loan amount available is $35,000, with average interest rates ranging between 5.99% and 36%. An additional “closing fee” of 1% of the loan amount is charged. This is a peer-to-peer lender. You fill out your profile when applying for an online loan for debt consolidation. This makes use of a proprietary formula to score tier interest rates and borrowers, including the credit score. The interest rate ranges between 5.99% and 35%, making it considerably less than the interest being currently paid. This is also a peer-to-peer lender which targets young borrowers without a noteworthy credit history. Upstart’s software is programmed to consider your level of education, what you majored in college and your job history. Loans are available from $3,000 to $25,000. This company aims at doing business with those having reliable credit risks. Its interest rates are low – ranging from 2.19% coupled with auto pay to a little below 15% and amounts ranging from $5,000 to $100,000 are available. The usual loan periods range from 2 to 7 years. If your credit score is below 700, you could opt for Avant. The loan is directly funded by the company with slightly higher interest rates – from 10% to 36%. No origination fees are charged, and the loan term varies between 2 to 5 years. How then do you decide which online debt consolidation company to opt for? When doing your initial research, first look at whether your debt reliever can lower the interest rates you are currently paying as also your monthly payments; and more importantly, if it can ensure eliminating your debt within three to five years. Once you start corresponding with a prospective online debt consolidation company, take a hard look at their customer service. Are your questions getting answered promptly and to your benefit? If it’s a non-profit organization, it has to address the customer’s needs first by law, or else it stands to forfeit its privileged non-profit status. These laws, however, are inapplicable to profit-making companies which mostly work for their own benefit. Check out the organization’s past performance record by all means before selecting it. Or else you’ll end up with one that makes promises only to break them. Carefully study its customer reviews on the BBB website; whether its credit counselors are accredited and how long it’s been in business. In sum, make full use of some very effective online tools to monitor your personal creditor proposals, keep a tab on your outstanding balances and change payment due dates if need be. That’ll certainly make your journey much smoother.